2018 marked the most “ambitious year yet” for Russia gold-buying. 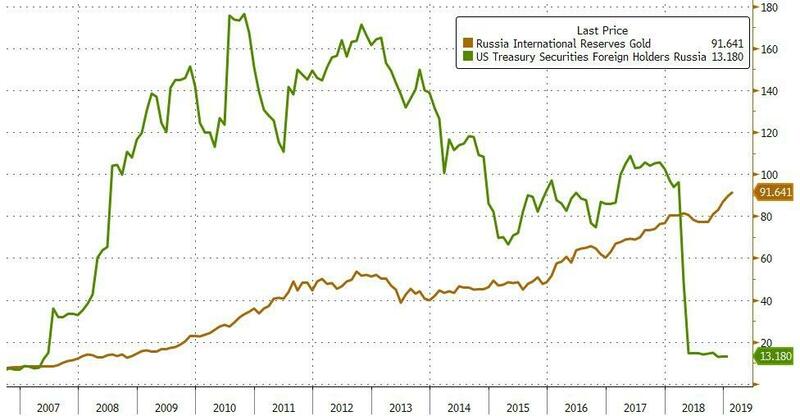 The drop was so significant, that Russia fell off the Treasury’s list of the 30 or so largest Treasury holders. And in the months that have followed, as the US has imposed more economic sanctions and feuded with Putin over the fate of Venezuelan leader Nicolas Maduro, Vladimir Putin has turned instead to alternative reserves as the country’s de-dollarization push continued. 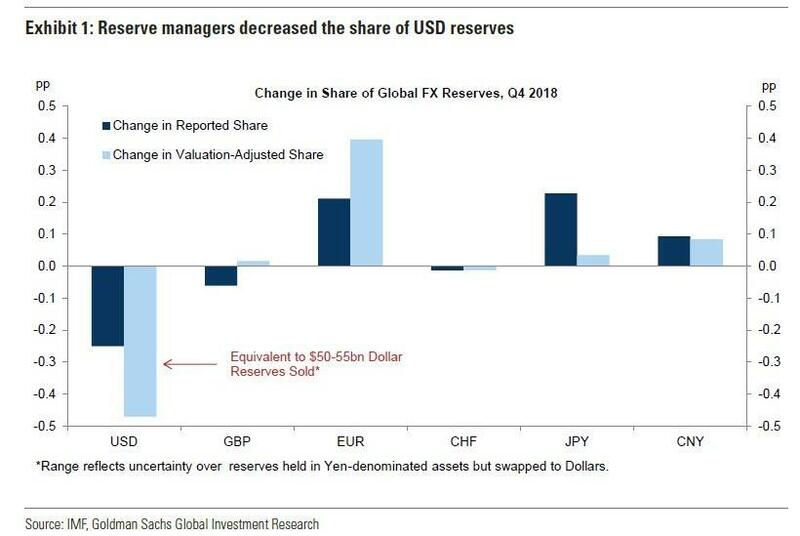 Over the same period of time, Russia was a conspicuously large buyer of Chinese yuan, as Goldman Sachs noted (and as we highlightedwell earlier today), helping contribute to a spike in yuan buying by reserve managers last year, as the IMF pointed out in a recent report. 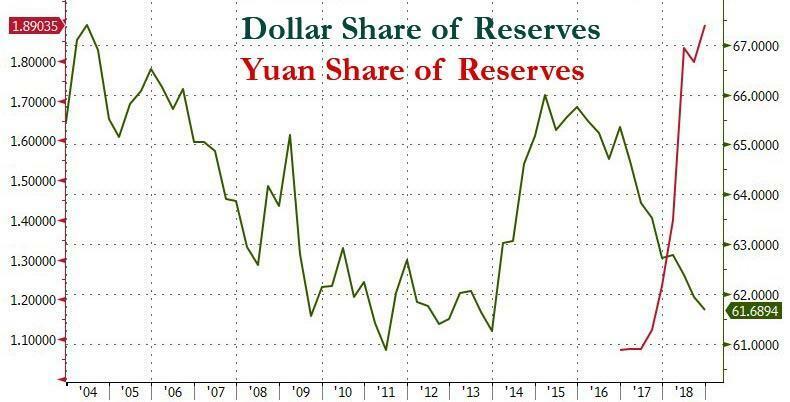 But given the yuan’s still-limited convertibility, it has its limitations as a reliable reserve for foreign central banks. Which is probably why Moscow has relied on another reserve option whose popularity has endured for most of the history of human civilization: Gold.